The Centre for Sustainable Food Systems at UBC Farm collaborates with academic and community partners to offer educational programs for learners of all ages. The UBC Farm began in 2000 as a student-led initiative, providing experiential learning for university students. Since then, the farm has grown considerably and now offers a wide range of programs for research, teaching, and community purposes. In 2002, we began to offer opportunities for elementary school students to learn and explore the farm in a number of ways. In 2003, the Faculty of Education started the “Intergenerational Landed Learning” program that provided a more in-depth experience for elementary school students at the farm. Participating classes started their own gardens on site using designated raised beds in the “Land, Food and Community” teaching garden. Students returned to tend the gardens through the summer, learning under the mentorship of their “farm friends,” including retired farmers who volunteer to share their experience. This intergenerational learning program is tightly integrated into the elementary curriculum and currently works with about 100 students per year. In 2006, we officially launched a new program that opened up the wonders of the UBC Farm to children at the height of the growing season. Originally an initiative of the Landed Learning Project, the “FarmWonders” summer day camp was envisioned as a one-week, science-based, hands-on education for children, exploring the connections between land, food, and community. 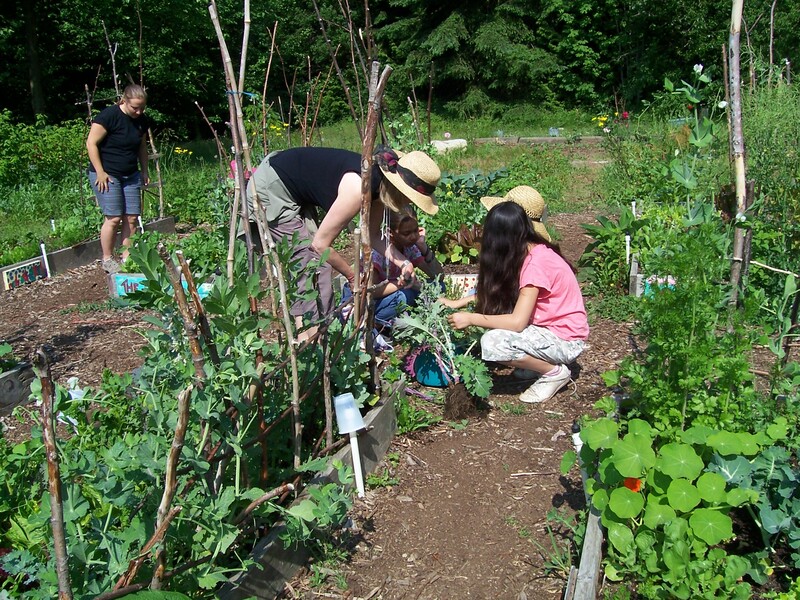 Children cultivate their own gardens on the site, harvest, prepare, and eat fresh food from the garden, and participate in sports and crafts that encourage environmental stewardship. By 2012, the FarmWonders umbrella had expanded to include not only the original one-week camps, but also spring programs (FarmWonders Spring Break Camp and SpringFarmers After-School Program), and the ongoing FarmDiscovery School Tour program. For a more detailed overview of the UBC Farm’s history, visit the “History” page of the UBC Farm website.